As senior vice president and medical director at Phelps Memorial Hospital Center, Tobe Banc, MD, oversees all clinical activities and patient care policies. She also helps manage the strategic development and implementation of programs related to clinical services. Board certified in internal medicine with added qualification in geriatrics, Dr. Banc is director of senior health and internal medicine, a hospital-based geriatric, internal medicine and palliative care practice that she started at Phelps in 2007. Dr. Banc joined the Phelps medical staff in 2004. A year later she was appointed medical director at Kendal on Hudson, the continuing care retirement community located on the Phelps campus. Previously, she was director of palliative care education at the Geriatric Research, Education and Clinical Center (GRECC) of the Bronx VA Medical Center, an affiliate of Mount Sinai Hospital in New York City. While at the GRECC, Dr. Banc coauthored a curriculum in palliative care for a team of interdisciplinary fellows made up of doctors, nurses, pharmacists, social workers and pastoral care professionals. Dr. Banc is an assistant professor at New York Medical College, and has presented nationally on palliative care and geriatrics. She is a member of the American Academy of Hospice and Palliative Care Medicine, the American College of Physicians and The American Geriatrics Society. 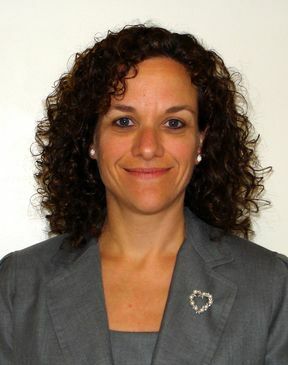 Dr. Banc received her medical degree from New York University School of Medicine and completed a residency in internal medicine at the University of Connecticut, followed by a two-year fellowship in geriatrics at Mount Sinai Hospital.